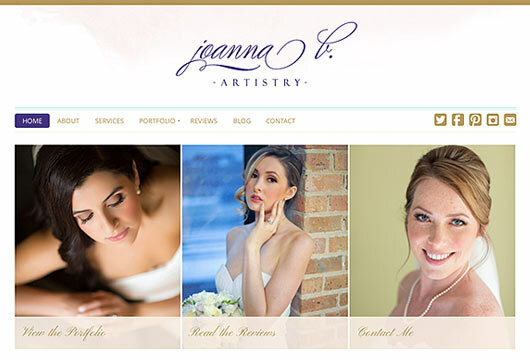 Joanna is a professional makeup artist from Chicago who needed a new website … but at first she decided to do it herself. She got hosting, bought a theme, and started working. But the site just wasn’t coming together. Although unfortunate, I certainly understand why she had challenges. After all, Joanna is an artist, not a web developer. So a couple of weeks and hundreds of dollars later, she contacted PrettySmart to get the job done. We started Joanna off with some “homework” to develop the site content, and then we developed the site on WordPress using a ProPhoto Theme, which is normally used by photographers, but it fit the bill for this job perfectly.